Hydropower solutions can be more reliable than other renewable options, and with their generating components engineered to last many years, they can be simpler to maintain and service. Larger scale hydropower stations (run-of-river, dams or reservoir storage), can also help to develop a whole range of infrastructure facilities:. Multi-purpose dams, which besides providing electricity also ensure potable drinking water and irrigation, which can bring significant improvements to the local economy. Hydropower facilities can also contribute to enhancedg shipping conditions on rivers and improving river conditions (e.g. removing waste). Hydropower schemes can reduce flodding and provide recreation and tourism opportunities. Reservoirs act as perfect energy storage – the only commercially viable way in which this can be done – and power can be generated as and when required. The hydro industry continues to raise the bar as to what constitutes good stewardship and acceptable practices in using resources for hydro development. The UK generated around 1.8% of its electricity from hydro-electric facilities in 2012, which equates to 1.65GW of installed electrical generating capacity. A significant proportion of this was from large scale hydro-electric schemes. 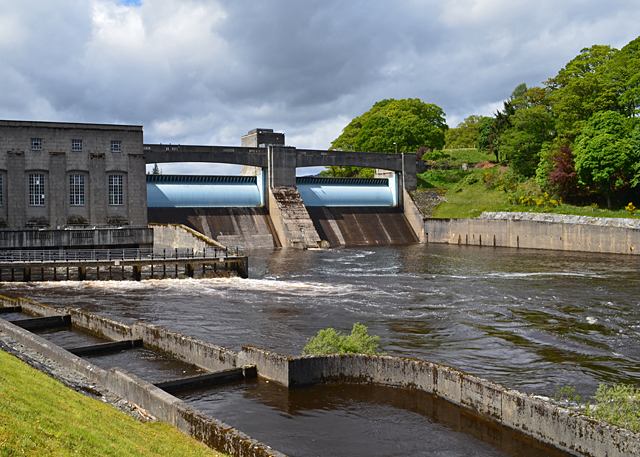 There are four large scale conventional hydroelectric power stations and large run-of-river schemes in the Uk which produce approximately 5,000GWh per annum. The potential for further practical and viable hydro-electricity power stations in the UK is estimated to be in the region of 146 to 248 MW for England and Wales, and up to 2,593 MW for Scotland. The British Hydro Association has identified a larger number of viable sites, due to improvements in the available technology and the economics of ROCs and FITSs. Large scale hydro schemes utilise dams that impound water in a reservoir, creating a large head of water with significant stored potential energy. The reservoir feeds large turbines and generators that are usually located within the dam itself and can rapidly respond to spikes in demand for electricity.